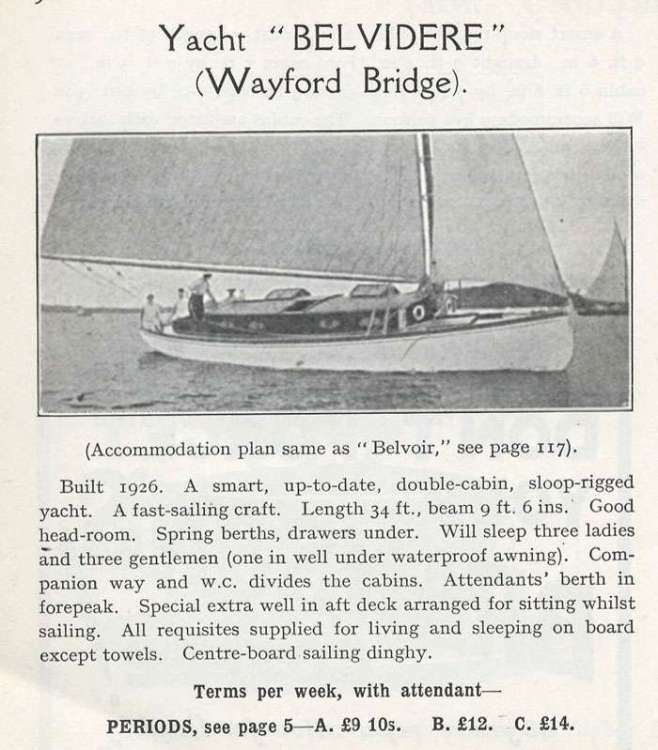 Was sampling the offerings in the local tap house and had a conversation with a friend tonight who was going through some old family photos and happened across some pictures of his parents on the Broads in Wroxham on a hire boat (rag and stick) called ‘Belvedere’ circa mid ‘30’s. He is going to let me scan in the pictures but I was wondering if anyone here had any knowledge of such a boat, or which yard she hired from? I have found a little more, in that it was rented out from the yard at Wayford Bridge, as opposed to Wroxham, as my friend thought it was, so I guess thy may have sailed up to Wroxham? 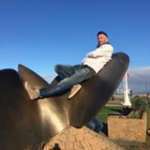 Should be finding out more tonight as I think he's bringing the pictures out. Here are a couple of brochure entries for you. She was hired (and presumably built) by W. Hewitt's boatyard at Wayford Bridge. The first brochure entry is from 1929 which states that she was built in 1926 - interestingly, she was listed as "Belvidere" with an "i" here and also in the 1933 brochure. 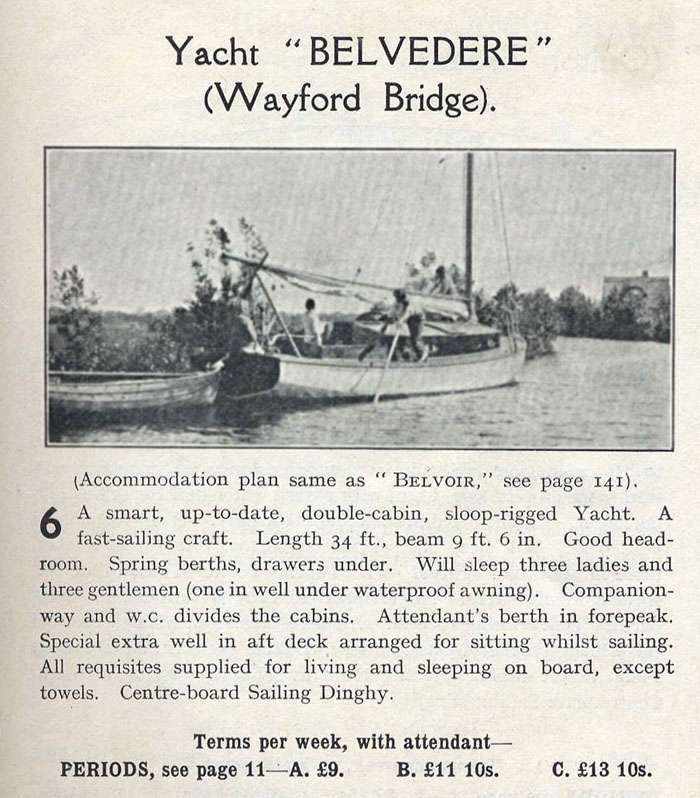 The second entry is from Blakes 1935 brochure which has the spelling of "Belvedere". Just to add - Belvedere was still on hire at Wayford Bridge in 1958, as listed in the Blakes brochure for that year. I then have a big gap in brochures, my next point of reference being 1966 and I can't see her in there. If anyone else has the brochures in between, they may be able to tell you when she disappeared from hire. That's great, I will let you know what more I find out tonight!